During the summer months your skin needs special care. As the mercury rises, the heat, along with pollution, takes a serious toll on your skin. 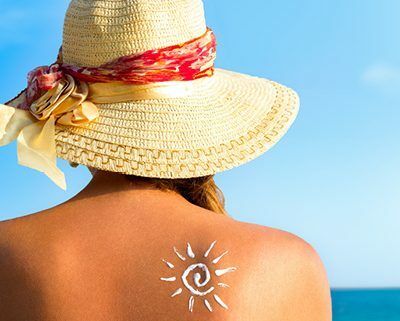 Not only is your skin prone to tanning and peeling, sunrays can also cause premature ageing. Water is your best friend: Water helps you maintain the moisture balance of your body and skin, and assists in detoxification. Make sure that you drink 8-10 glasses of water every day. This will not only maintain the moisture, but also prevent you from dehydration. Exfoliation gives you smoother skin: The heat and dust make pimples a very common problem in summers and a lot of people encounter breakouts. Exfoliation removes dull and old skin. Have a regular exfoliation and cleansing routine. Clean your face with water daily, and use a scrub once or twice a week. You can do this at home or visit your institute and get it down on a regular basis. Moisturisers make the skin merry: With the winters gone, most people think the need for moisturisers and lotions is over. The reality is that the extreme heat of summers makes our skin dry and prone to damage, and you need to make up for the moisture loss. But your oily winter lotions won’t help. Pack those away and opt for a non-greasy moisturizer to keep your skin moisturised and supple without making it look oily. Sunscreen keeps the sun away: Stepping out in the sun without sunscreen is an open invitation to the sun to invade your unprotected skin. UV rays can be quite harmful for your skin especially in summers, while we are out for work or on a vacation to the hills or a beach. 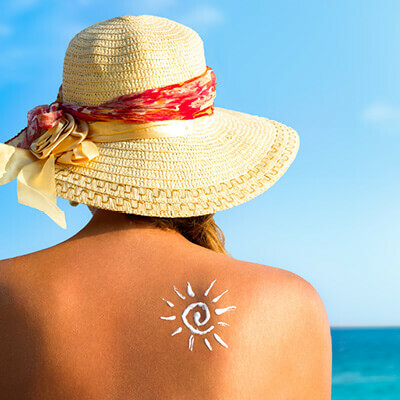 Keep your skin protected with a sunscreen and apply it generously every couple of hours. If you are going swimming, then you will need to apply it again and again as it gets washed off. Lip-balms give your lips a lovely lift: An unwelcome gift of summers is chapped and dry lips, which can even bleed at times. As the lips are thinner than the normal skin on your body, they need special care in summers. Keep your lips moisturized and protected, and give them a perky look with a lip balm having an SPF. Sometimes it is the simple things that we do that make us look as radiant as the sun. So, use the above tips this summer to not only protect your skin and face but also look your stunning best.